Hello there! This week, I am the challenge hostess over at the Paper Players. 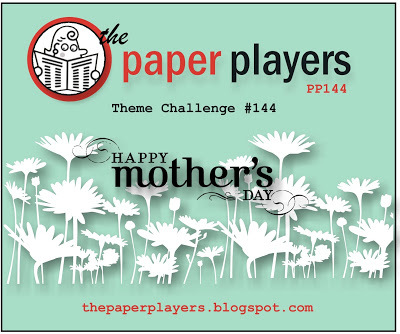 We are featuring a Mother's Day theme challenge. Please join us and play along. Check the original post HERE for the challenge details, including the rules. I used the Feel Goods stamp set, along with the new Gingham Garden DSP, which I think is SO pretty! Eeek! Buy this paper when it comes out in the new catty! It is so fun and cheerful...from the color combo to the sweet patterns! Seriously, you should buy this paper. That might make me a "paper-enabler", but I'm completely ok with it! Haha!! The buttons are from the *brand new* Regals Designer Buttons collection in Island Indigo. They will be available in the new SU catalog. I was lucky enough to win them early from a new catalog Webinair I took part in. Thanks Stampin' Up! :) These buttons are SO pretty and even more detailed in-person. I dressed them up with Island Indigo baker's twine because "naked" buttons just need a little somethin' somethin'. I finished everything off with some paper piercing, embossing and some sparkly bling. This was a really fun card to put together. 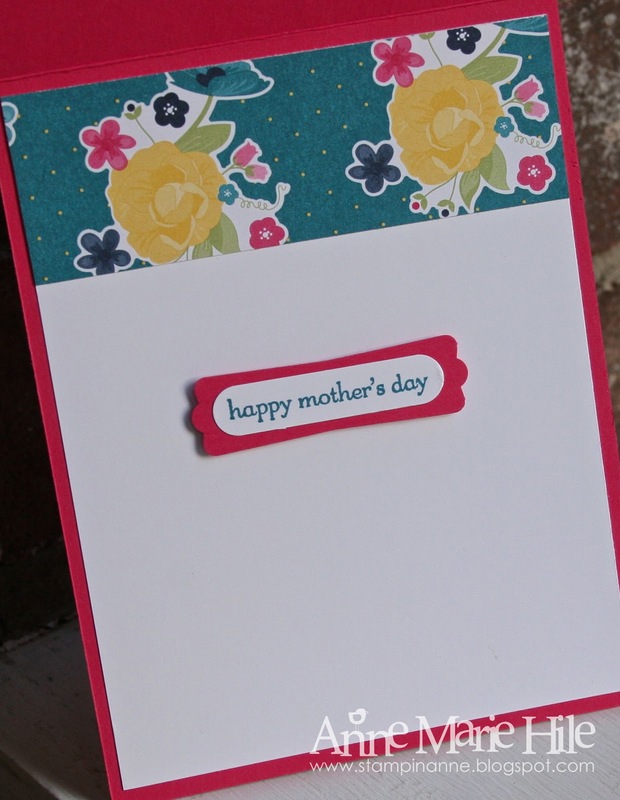 Here is a quick shot of the inside of the card, simple and sweet! Like you Ann Marie, I love this paper. It is so pretty and vibrant. Love what you did with it. Anne, absolutely adorable.. as always!!! I will have to case this bugger.. its just too darn cute! I love your style.. you give me a lot of inspiration! I just got my paper on Friday and have barely looked at it yet---so I am glad to see you using it on this bright and cheerful card! Super fun! What a happy card Anne Marie, such cheerful colors! A girl can never go wrong with gingham!! What a bright and happy card! 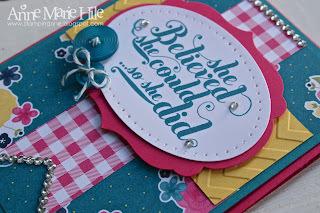 Love the banner of gingham paper--it really pops off the card. Love seeing the new buttons too--way to rock the new goodies, my friend! 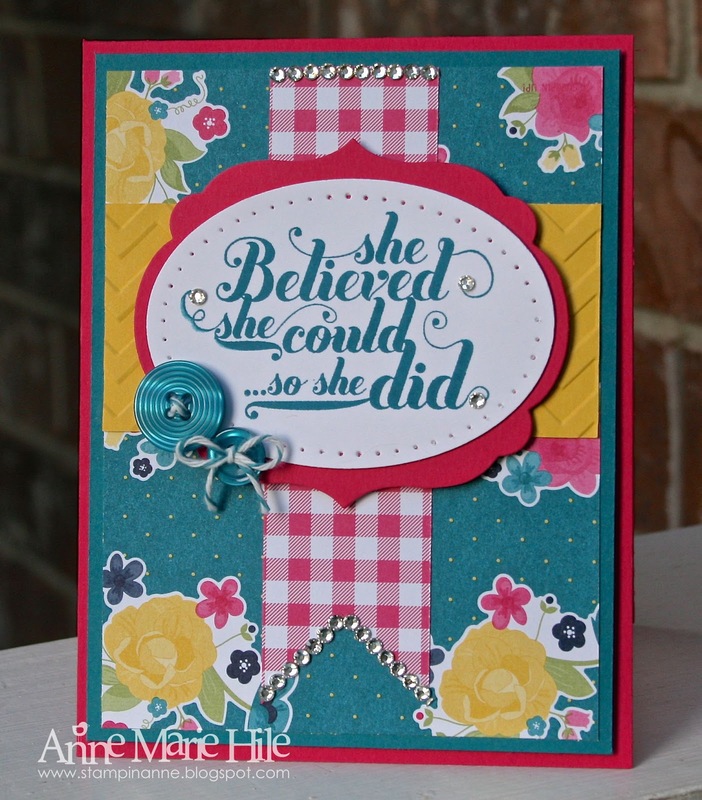 Anne Marie everything about this card says "Feel Good"!... how fun. Love your bright colors and touch of bling too. Now next to polka dots....Gingham is a FAV! hugs. What a bright and happy card! I love the paper, and I love the buttons. 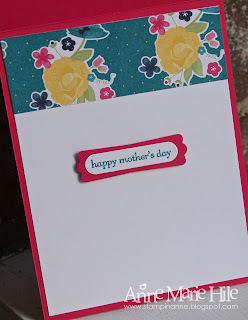 Great Mother's Day card, and a great challenge! Thanks!